This beautiful Hudson engagement session was one of the most romantic and charming sessions we’ve done in a while! 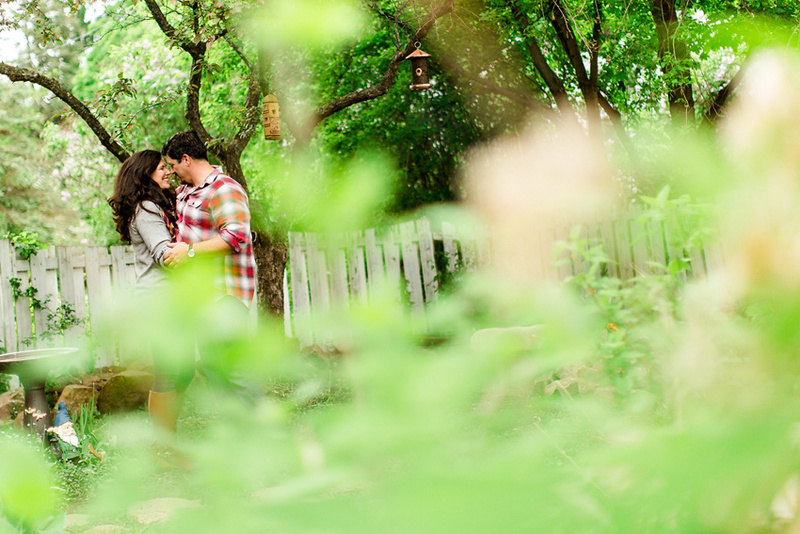 The session was set at Kim & Jeff’s lovely home & garden and surrounding areas here in Hudson Quebec. Planning this session came quite naturally for Kim! Complete with Champagne, marshmallow roasting, matching mugs with their initials on them, & a beautiful fire! Kim & Jeff snuggled up and got nice and cozy for us. Some couples need a little more guidance and direction, but not these two. As soon as we pointed our cameras at them, they just melted into each other as you can see! It was a pleasure!! Annie and Kien are two special people to us. Annie has been a long time fan of our work (x0x0!) and Kien’s family has been a part of our business for quite some time, for which we are extremely grateful! We have been very fortunate to have had the pleasure of being the photographers to two of Kien’s sisters and now we got to be a part of his and Annie’s very special day. Not only that, but Bartek and Kien worked together at Bartek’s first vfx film job here in Montreal! Time flies, it’s a small world and we love every bit of it. The beautifully sunny day started with some familiar (but still crazy!) door games filled with silly moments and lot’s of laughs. Annie and Kien have been together for a long time, and through this time, their love for each other grew every day, which was quite apparent as soon as we started to see them though our lens. Surrounded by family and friends, Annie and Kien’s wedding took place at Le Carlton in Saint Leonard here in Montreal. And for the photos, we took them to a very classy location where we took every bit of sunlight and combined with the gorgeous scenery, captured Annie and Kien in their glowing and happy state. Annie and Kien, thank you for choosing us to capture your wedding day. We have already had so many wonderful experiences together, but this day just added to it all. You have been together for a long time and as we already mentioned! Your love for each other is very obvious and we have no doubt you two will have a very happily ever after. Kay & Rudo are from Zimbabwe. It is one of the countries on our bucket list which we’re dying to see at some point, so you can imagine all the questions we had for this handsome couple! Kay came to Canada many years ago and developed great relationships on this continent, so they threw a great party for their friends at the Atlantine Golf Club on Ile-Perrot. With stunning sunset views over the St. Lawrence River, we took the opportunity of using the beautiful grounds for some wonderful photo opportunities. The ceremony was equally sweet and charming but we’re especially jealous of the photographer who will be capturing their second wedding party back home in Zimbabwe! Well, that day just had to come didn’t it? That dreaded word came over the radio the day of Eve and Zach’s wedding…rain. We’ve been at it for many years and have quite a bit under our belts when it comes to dealing with a rainy day, but it must be worrisome for the couple and their families. Not Eve and Zach, however! They took the day by the horns and made it beautiful no matter the rain. And so it really was. Super relaxed, happy to be with each other, Eve and Zach got married and everyone had an absolute time of their lives. The cherry on top for us, was how wonderful it was that Eve and Zach were cool with every idea we had and the result is below. 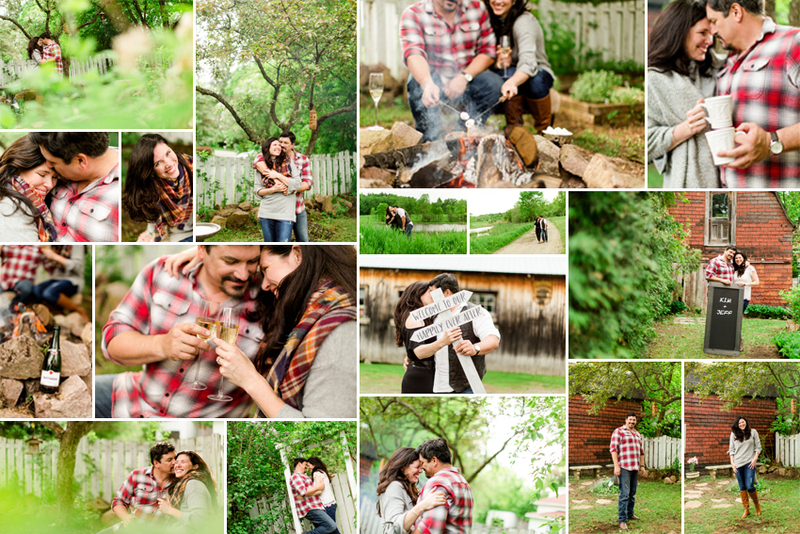 We absolutely adore it when our couples are awesome to work with, so thank you guys! We told you braving the rain would be worth it! Su-lin is one of the sweetest people. She searched us out YEARS ago and put us in her back pocket for that one special day when she would get married. We had no idea, but we are incredibly flattered. It honestly created a special bond with Su-Lin and Jeff knowing this and we meshed immediately. Su-Lin and Jeff’s wedding was a beautiful mid-day event. It was a brunch wedding at the one and only Graydon Hall Manor in Toronto. Once a residence, this 1936 mansion was the perfect setting for Su-Lin’s impeccable style and elegance. I want to say that it was both Su-Lin and Jeff’s creative input that made this all happen…but guys, we all know who was in charge! Orchestrated to a tee by Laura Olsen, of Laura Olsen Events, this sunny day played out exactly as everyone hoped it would. Complete with their little pup, we spent a lovely day capturing moments of Su-Lin and Jeff in all of Graydon Hall’s beautiful corners and gardens. There were a lot moments, however, where both we and Su-Lin and Jeff broke down in laughter from someone’s horrible joke which was a welcome theme all four of us absolutely loved.